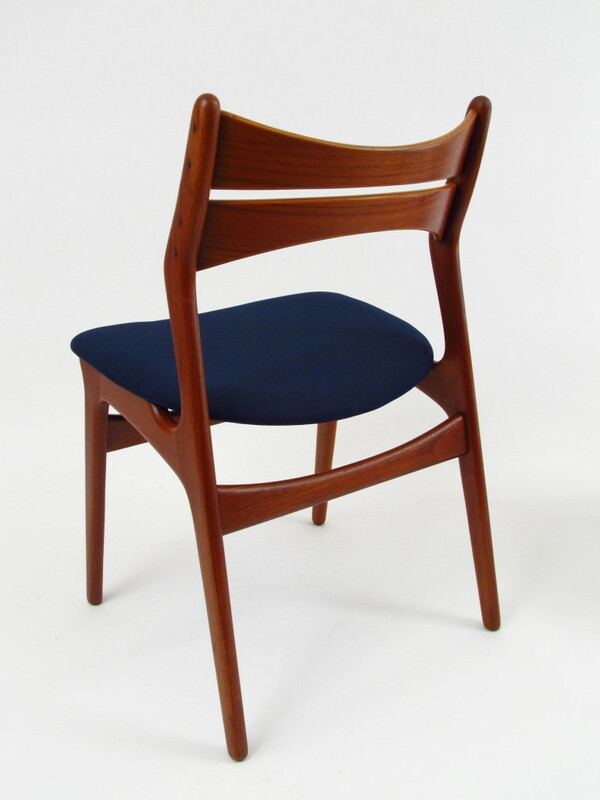 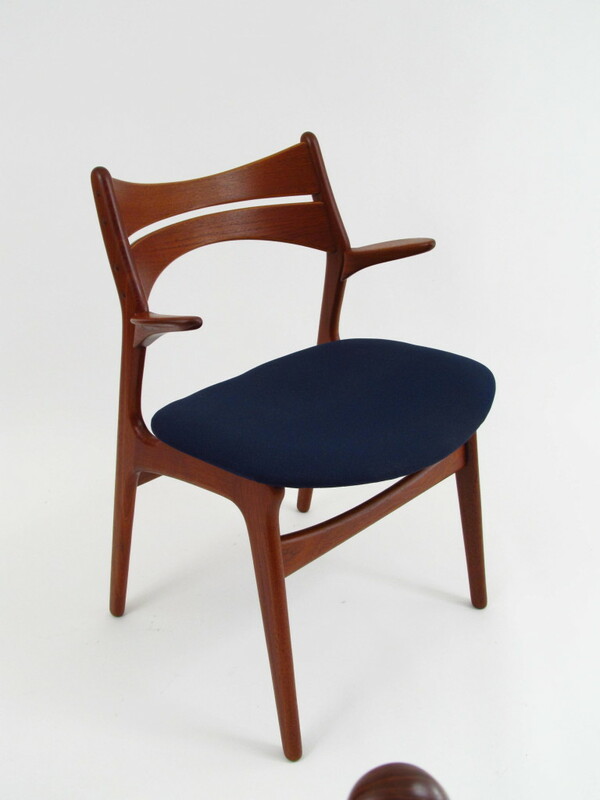 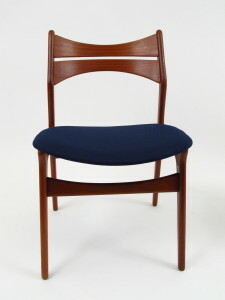 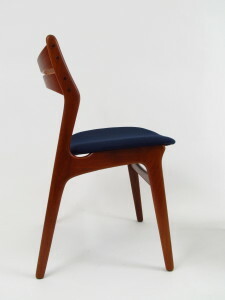 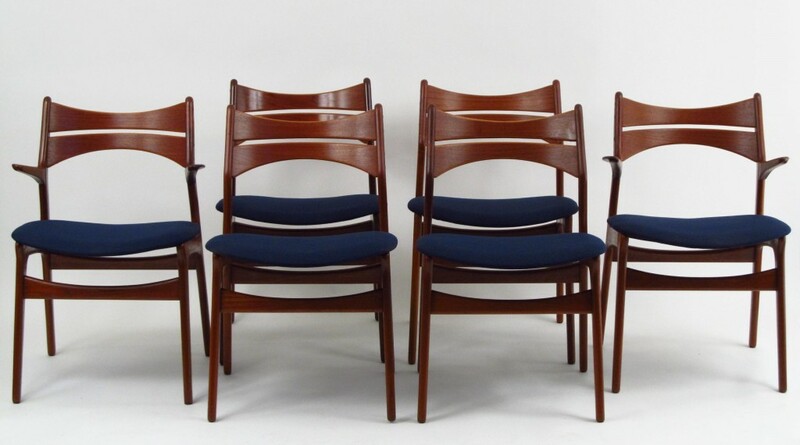 A graceful and rare set of teak chairs designed by noted Danish designer Erik Buch. 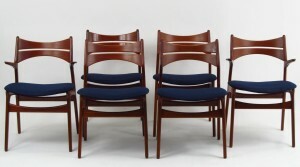 The set consists of 2 arm chairs and 4 side chairs. 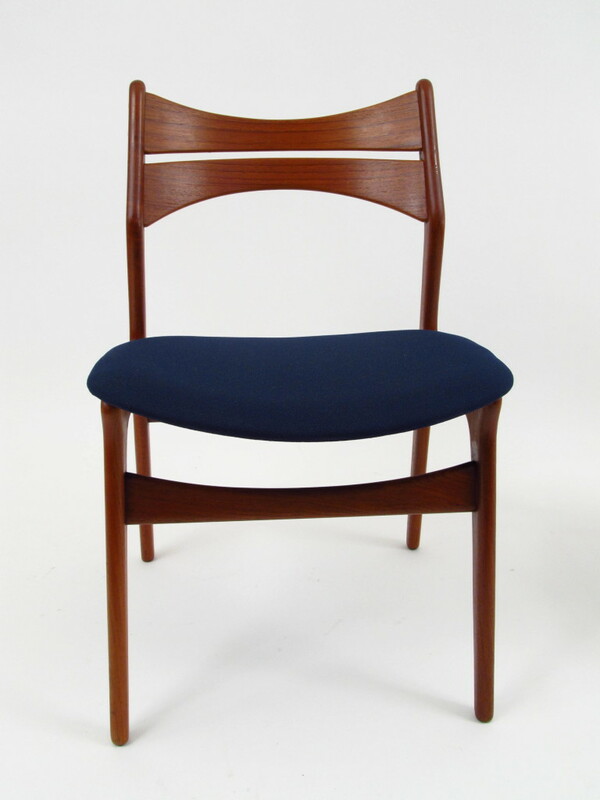 Newly refinished and re-upholstered.